Bing Cherry Salad. 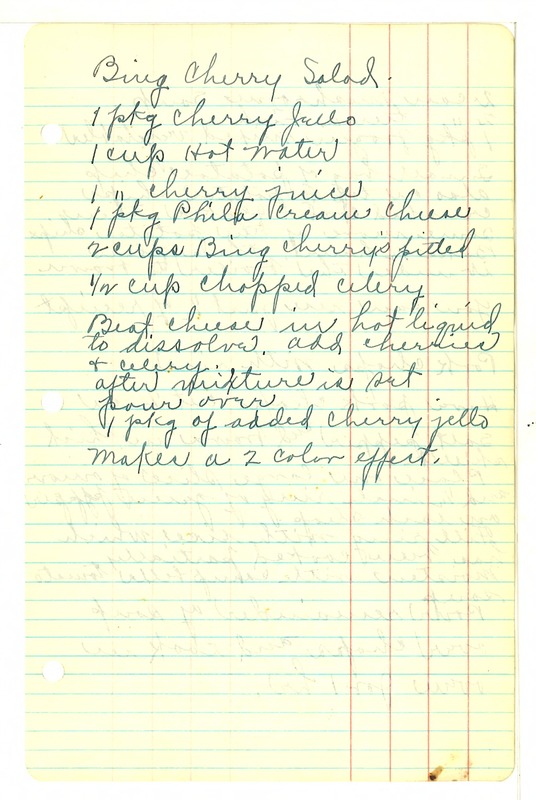 1 pkg cherry Jello 1 cup Hot water 1 cherry juice 1 pkg Phila cream cheese 2 cups Bing cherry's pitted 1/2 cup chopped celery Beat cheese in hot liquid to dissolve. add cherries to celery. after mixture is set pour over 1 pkg of added cherry jello makes a 2 color effect.